There are so many amazing things to do in Columbus that aren’t going to break the bank. Here are some of the top free and cheap things to do in Columbus. This list only covers a fraction of the fun in Columbus (we live in an amazing city! ), but we hope you’ll find some new ideas. I’d love to hear your favorite things to do in the comments! Check out this list of over 325 festivals in and around Columbus! There are festivals all over Central Ohio throughout the year, and the list is being added to regularly! Whether you go for the food, culture, or fun; festivals have it all. Various communities and suburbs have special events each month to celebrate what the area has to offer. You’ll find entertainment, vendors, sales at local shops, and great eats. It’s a great chance to explore new areas! Let me know others that I’m missing! Short North Gallery Hop: The 1st Saturday of every month, people flock to the Short North Arts District Gallery Hop where stores and galleries stay open late, entertainment and street vendors are spread throughout the district, and food and drink is plentiful at the amazing bars and restaurants in the areas. Franklinton Fridays: 2nd Friday of each month is Franklinton Fridays and the 400 Market. The galleries, businesses, and institutions of East Franklinton will host an art crawl for the public, and new places will be opening regularly with the revitalization of this neighborhood. Sunlight Market at Gay Street: On select Sundays between April and October from 11am to 3pm, Sunlight Market offers brunch, shops, and over 50 sidewalk street markets with artisan goods and products. Columbus Moonlight Market on Gay Street: Every second Saturday from April through October during Moonlight Market, businesses will feature late hours at the regular businesses along the street, entertainment, and sidewalk vendors with everything from clothing to baked goods, and indy retailers. Mount Carmel St. Ann’s 4th Fridays in Uptown Westerville: On the 4th Friday of each month, Mount Carmel St. Ann’s 4th Fridays offers fun for everyone with live entertainment, kids’ activities, food carts, and 100-plus street vendors from April through September from 6-9 pm. Uptown shops will stay open late, so you’ll get to explore the wide variety of shops in Uptown. The Grandview Hop: Spend the evening in Grandview on the last Saturday of every month in June-September from 5 – 9 p.m., to celebrate the best that Grandview has to offer. The monthly Grandview Hop will feature food, drinks, shopping, music, art, and more along Grandview Avenue between 1st and 5th Avenues. Columbus is home to a fantastic Metro Parks system with 20 natural area parks with more than 200 miles of trails. Beside having the opportunity to explore these parks on your own, they also host so many activities each month, most of which are free. From hikes for all ages and capabilities, kids activities, and animal, insect and bird spotting programs, there is literally something for everyone. Many feature amazing nature centers that can entertain you even if the weather isn’t perfect outdoors. Get out of the house and check out these parks! While the historic North Market will be undergoing some major changes around it with the new Market Tower being built starting in 2018, the Market itself will remain open and as amazing as ever. If you haven’t been to the North Market recently, you need to check it out! In addition to the awesome merchants selling wares and fresh flowers, you can satisfy nearly every food craving. They host events throughout the year, including farmer’s markets on Saturdays during the growing season, and Peddler’s Picnic on Sundays during the Summer. You can even buy your Christmas Tree on the plaza before the holidays! Let me mention again – the delicious food options!! Farms, Produce, and more! While Columbus has certainly outgrown the “cowtown” nickname, the city is surrounded by tons of farmland in Central Ohio. That means there are amazing Farmer’s Markets (here are 20!) and lots of local produce. There plenty of places to pick berries in the summer, as well as u-pick peaches and apples in the summer and fall. Before the weather cools off too much, October is FULL of pumpkin patches and farm activities to enjoy the beautiful autumn weather (fall activities will be updated as info is released). Columbus is home to two Major League teams with the Columbus Blue Jackets Hockey and the Columbus Crew SC, plus the Columbus Clippers minor league baseball team, and Ohio State University and other college athletics, so there are plenty of great sports to watch all year. Ticket prices vary, but there are cheap seats to be had at all, and you’re guaranteed to have a great time. The Columbus Clippers baseball games are an especially amazing value with tickets starting at just $6, and the stadium has an energetic atmosphere even if the game is just 1-1 by the seventh inning stretch. While you can do this year-round, there’s nothing like getting out for a long walk once the weather has finally stabilized after winter and spring. This renovated green space along the Scioto River is a fantastic place to take a short or long stroll or jog, no matter the season. There are several festivals held on the riverfront throughout the year such as the Dragon Boat Race, Columbus Arts Festival, Pride Festival, Red, White, and Boom, Jazz & Rib Fest, Festival Latino, and more. If you just want to relax, you can sit and watch the fountains at Bicentennial Park or take in a Rhythm on the River concert during the summer, hang out on the patio at Milestone 229 or COSI CityScape, or just sit on the “porch” swings along the river. Don’t forget to check it out in December when the Mile is all lit up for the holidays! Take in some amazing art for free on Sundays at the Columbus Museum of Art! Admission is free all day on Sundays, and there is plenty for everyone at the museum, including space for the little kids to play and explore. Columbus is home to a fantastic library system, and there are several additional public libraries in the surrounding suburbs. The schedules are packed with free events and resources for all ages; from story times, Summer reading clubs, craft classes, book clubs, exercise groups, movie nights, and so much more. You don’t have to join a gym to get fit – you’ll find plenty of free fitness opportunities in Columbus, no matter what season it is! Beat the heat with these free and cheap indoor movies series. Pack a picnic and enjoy some tunes at parks all over the city with Outdoor Concert Series nearly every night of the week! Columbus Commons: From concerts, plays, kids events, happy hours, and fitness, there’s something going on at the Commons through much of the summer. Ride the COTA ZooBus to the Zoo and get $3 tickets to the Columbus Zoo and Aquarium and $10 off tickets to Zoombezi Bay, plus you’ll avoid the $10 parking fee! The ZooBus runs through Labor Day weekend. Looking for something to do this weekend? Check out our list of weekend activities that is updated weekly for all of the Friday, Saturday, and Sunday fun. 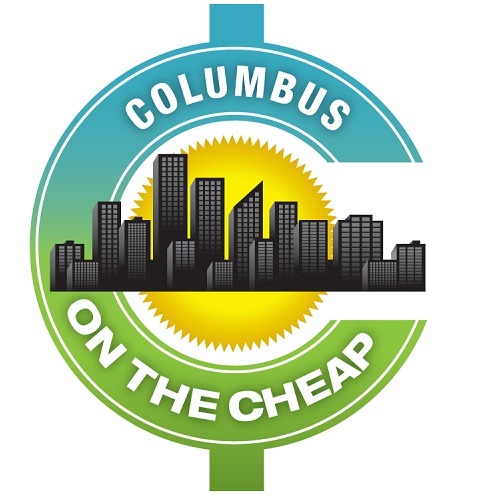 See our calendar of Columbus free and cheap events by day. Want more? Sign up of daily email updates of upcoming events (one per day), and/or like our Facebook page to see updates there (just know that Facebook doesn’t make every post visible to each follower).